Improving the quality – bye bye Maverick – HubNut – celebrating the average! After a bit of a buying splurge, I’m currently going through a major fleet reduction. Trying to live a reduced-income lifestyle was beginning to sit uncomfortably with owning five cars. It’s a bit like trying to lose weight while enjoying profiteroles for breakfast and take-away pizza for elevenses. I’m a hippy trying to reduce my impact on the world while driving around in fossil-fuel-munching CO2 monsters. The thing is, I really am a hippy petrolhead, so it’s not like I’m going to abandon motoring. But I had to admit that the biggest problem with owning so many vehicles is that it becomes a challenge to keep on top of maintenance, especially with a somewhat meagre income. I have no complaints about the income – we made a decision to earn less and that means hard decisions often have to be made. It’s one reason we get to far fewer car events than we used to. So, it was time for a cull. The Mini was axed some months ago, the Nissan Bluebird sold the other week and now a deal has been clinched on the Maverick. That leaves me with the new Citroen BX TXD Turbo and the 2CV as the sole working vehicles on the fleet. In theory, that should be plenty. After all, there are only two of us and one of us would rather not drive anyway. That’s not me just in case you were wondering. Selling the Maverick was a tough decision. I’ve had to turn my back on the world of green laning, having made many friends along the way. 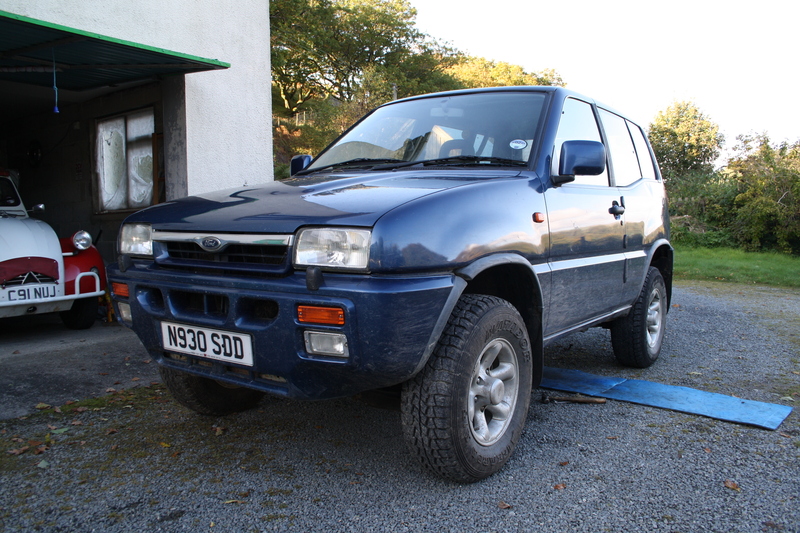 But it isn’t the first time I’ve sold a 4×4, nor even the first time I’ve sold a 4×4 when the winter is about to set in! I can now, in theory, focus on improving the quality of the two remaining cars. The BX is a long way from being fully sorted and is currently leaking various fluids in various quantities. I apologise to my friend Chas who’s driveway is no doubt quite well marked by my visiting him this weekend. My BX likes to mark its territory. It will also hopefully see me use the 2CV much more. It’s been shamefully neglected this year. Of course, the biggest challenge is ignoring Ebay and its searches of temptation. I think the general lack of funds should help here though!